Rastafari vector layout with reggae decorations. 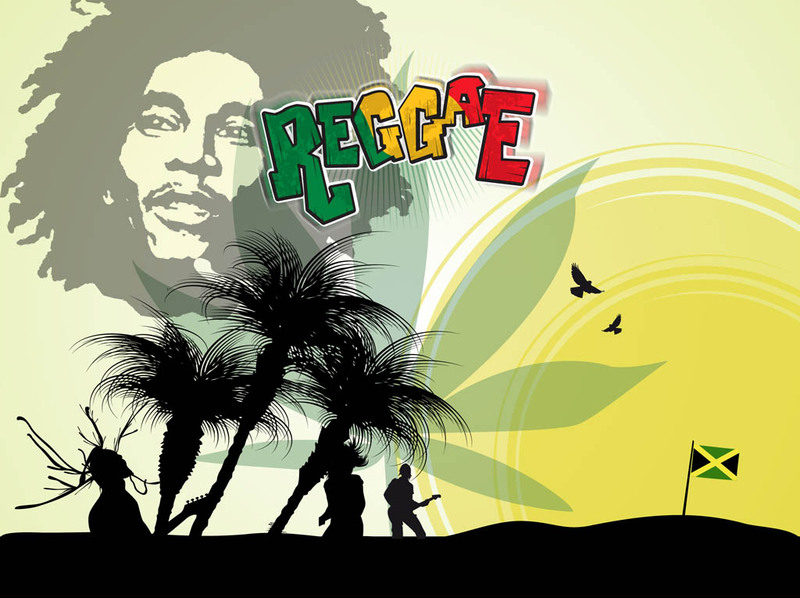 Silhouette palm trees and musicians with rastas, flag of Jamaica, flying birds, abstract circles and big silhouettes of Bob Marley’s face and a marijuana leaf in the sky. Free vector image for reggae, raga, Rastafari movement and music designs. Tags: Bob Marley, High, Marijuana, Music, Raga, Rasta, Weed.